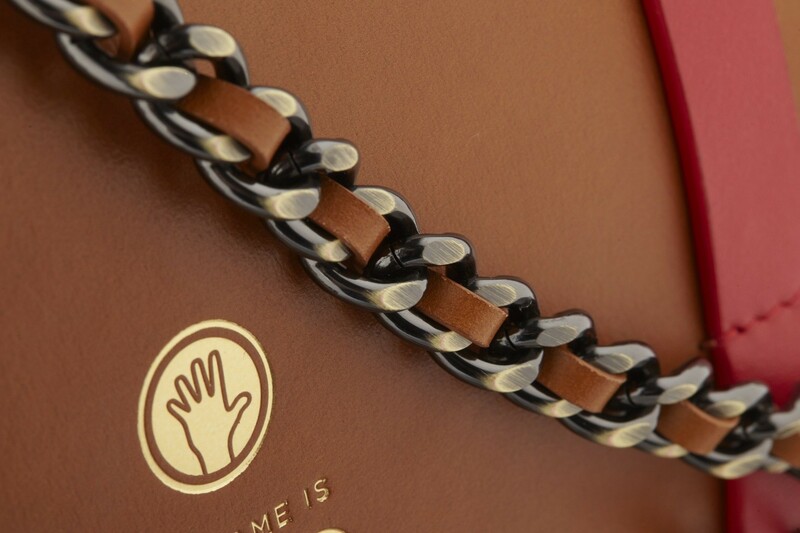 Hand-crafted from 100% Full Grain Italian Leather. Solid Brass chain and leather combined shoulder strap. 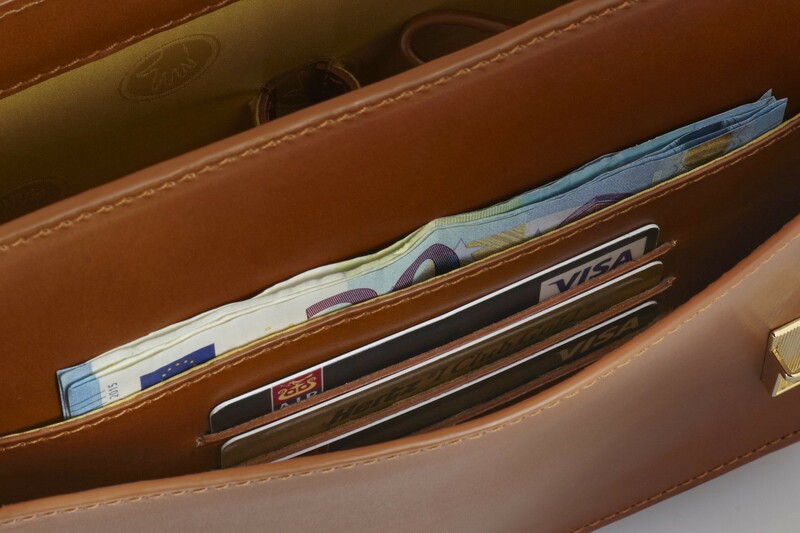 Second compartment for easy access to all your small accessories with integrated Credit Card slots, cash pocket & phone pouch. 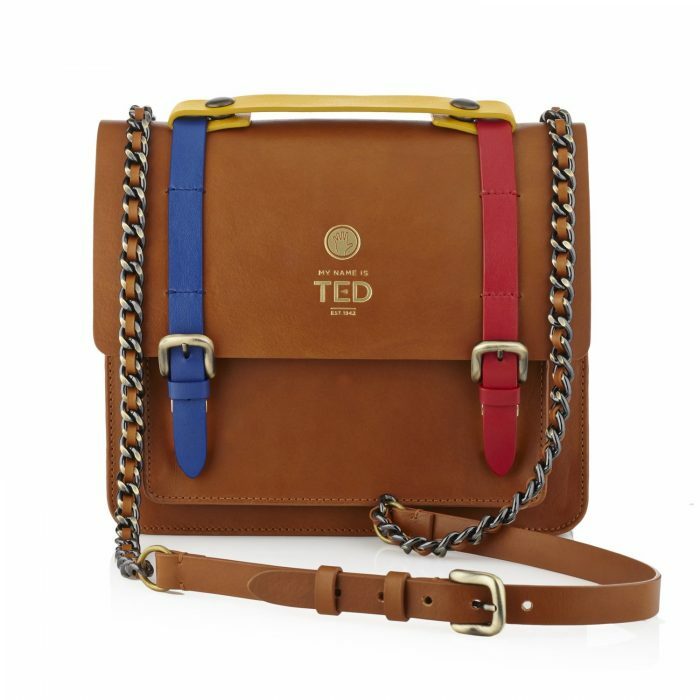 Inspired from my grandfather Ted Carbery’s 1940’s satchel designs, we have introduced a modern twist on his timeless design, fashion focused with bold brass buckles with an elegant chain and leather combined shoulder strap. 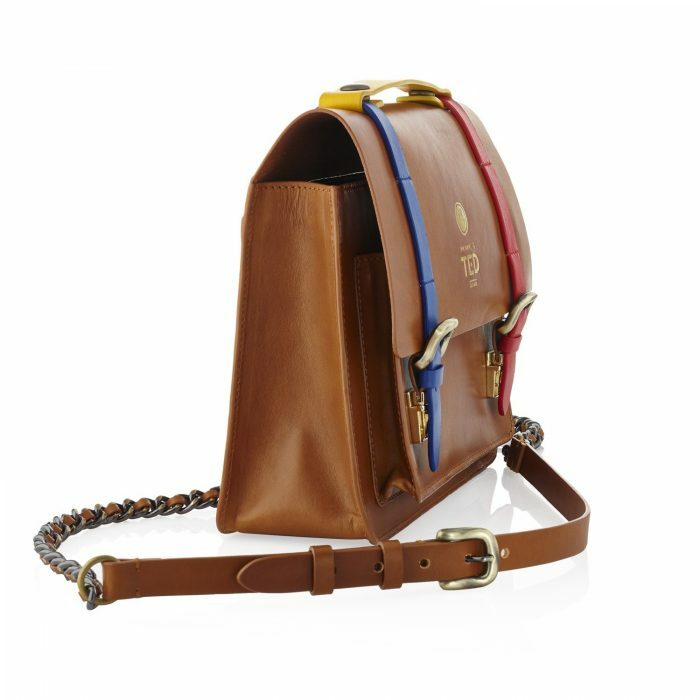 Our mini messenger is handcrafted from our full grain Italian leather. The earth tone body offers the perfect backdrop to introduce vibrant coloured straps. Also available with tone on tone straps. There is an additional front compartment for all your accessory essentials, it feature 3 credit card slots, a cash pocket and phone pouch. 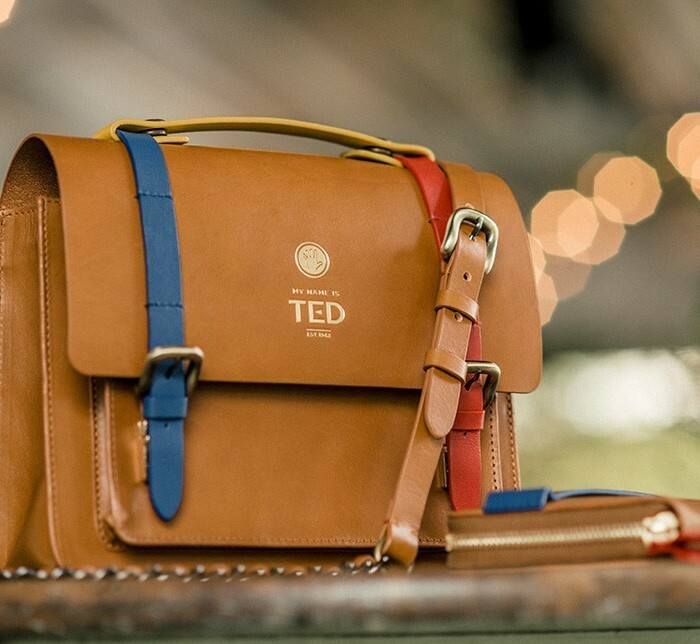 Transforming TED’s traditional satchel into a high-fashion everyday cross-body messenger bag. 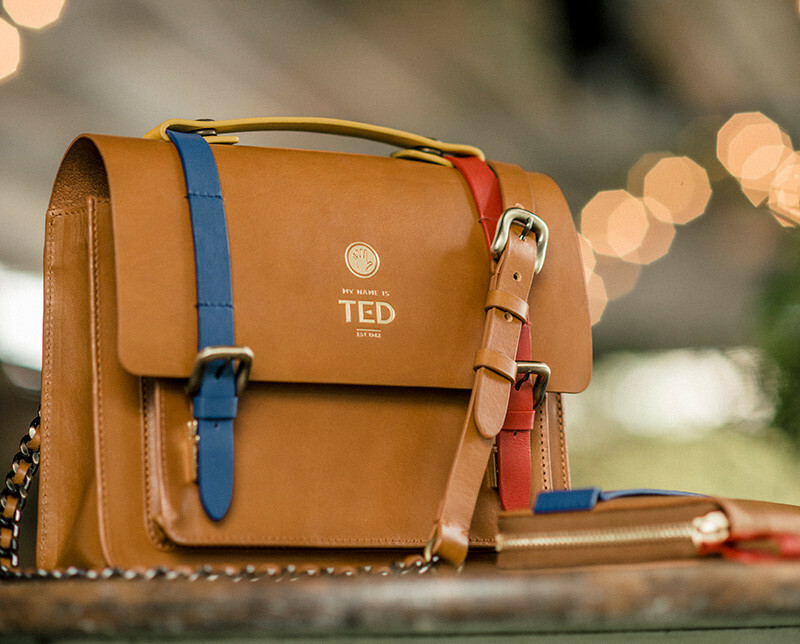 The timeless design of Ted’s original satchel created the perfect backdrop for us to create a modern classic whilst maintaining the traditional design values. We introduced slightly sharper corners and vibrant colours with bold brass hardware. 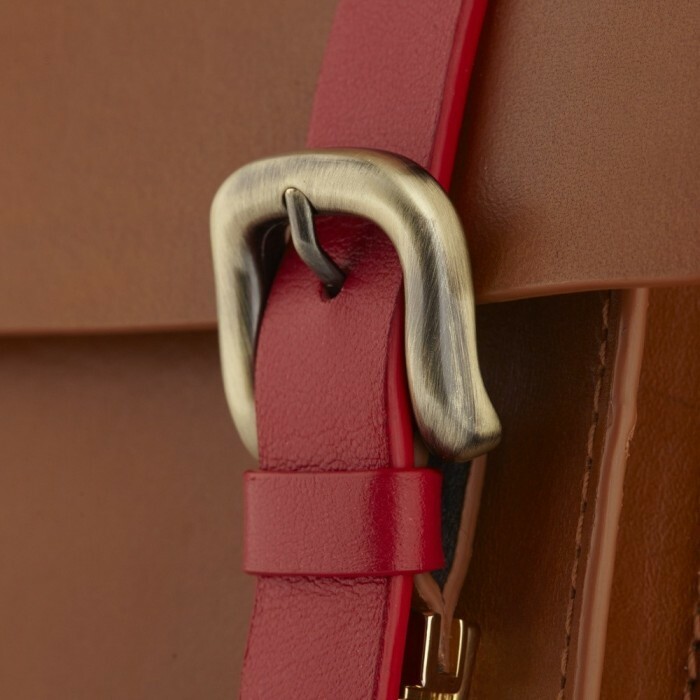 We topped this off with our solid brass chain and leather combined shoulder strap and we believe the traditional and modern design fuse together perfectly. Designing our luxurious everyday Mini Messenger. Everyone’s needs in Life, Business, Style and Travel are different. 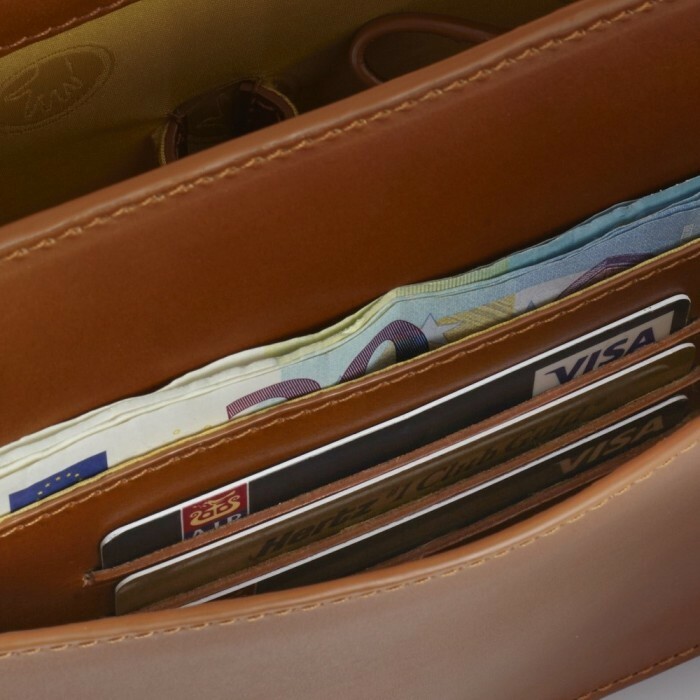 We focused on maintaining stunning traditional looks and finish, while introducing an integrated wallet for your credit cards and cash. The main bag compartment features an easy access smartphone pocket. 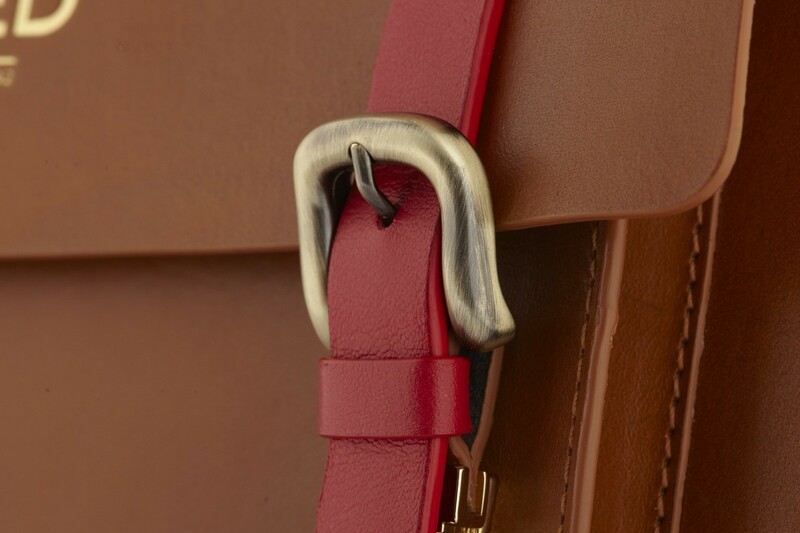 It is a gift to work with natural leather, premium metals, lining and incredible artisans. From the time our leather beings the natural tanning process, to the master craftsmen and women who hand cut and stitch each individual piece. You are guaranteed we will deliver an individual and unique product that is made with love and attention to detail from everyone one of our team that has worked on your product.